What are Cash Advance Loans, and How Are They Different from Other Types of Loans? In simple terms, a cash advance loans mean you are getting cash now, on credit, based on future income. If you have a paycheck or income on the way, but there’s an emergency and you cannot wait — cash advance loans are a way to access your future funds now to give you cash-in-hand when it’s most needed. But why is a cash advance unlike other kinds of loans? What is Cash Advance Loans Fee? Why Should I Get Cash Advance Loans? Try to remember a time when you were temporarily in a tight spot financially. Maybe you had to catch a pricey flight for a family emergency, or had to take some unpaid time off from work. You knew you had a paycheck coming, but money on the way doesn’t help with expenses now. Wouldn’t it have been convenient in that situation to have somebody just hand you your paycheck early? That’s the convenience of a cash advance: you don’t have to wait for your money. 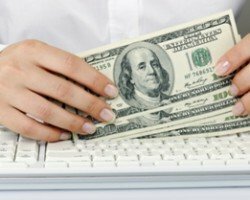 When Should I Get Cash Advance Loans? Cash advance loans can go a long way towards covering your medical bills. Your health and the health of your family is always top priority, and cash advance loans can provide some much-needed breathing room when the worst happens. Most people have a long list of things they want to do around the house, but when important repairs need to be made, you don’t always have the luxury of waiting for the “right time”. Whether it’s a damaged roof or new tires for your car to replace a blowout, some repairs can’t wait. To avoid these issues in the future, use this calculator to save for future emergencies. Even the most conscientious borrower might get behind on payments now and then, but if missing a payment will cause you serious problems (such as defaulting on a loan or facing expensive penalties), maybe it’s time to consider taking a cash advance instead. What are the Requirements for Cash Advance Loans in Canada? The only other requirement you need to keep in mind is that you cannot currently be in the process of a bankruptcy or consumer proposal. If you meet the above requirements, you are ready to apply today! Can I Apply for Cash Advance Loans with Bad Credit? The short answer to this question is: yes, you can. Loan Away Inc. approves the majority of loan applications, and that includes cash advance applicants with bad credit. As long as you meet the requirements listed above, you can apply for cash advance loans regardless of your credit score. As an alternative lender with competitive rates, Loan Away Inc. has more flexibility when it comes to finding solutions for applicants with bad credit — so don’t let a low credit score or past negative experience keep you from applying.